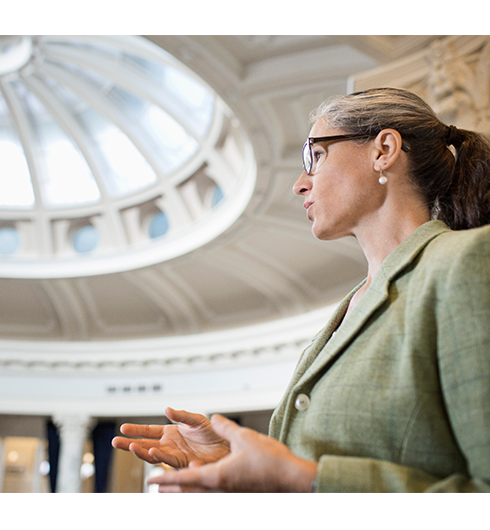 The Center for Leadership Studies is proud to offer government leadership development training to support agencies and their efforts to equip leaders with the ability to effectively influence. Our learning solutions enable leaders to engage in effective performance conversations that build trust, increase productivity and drive behavior change. 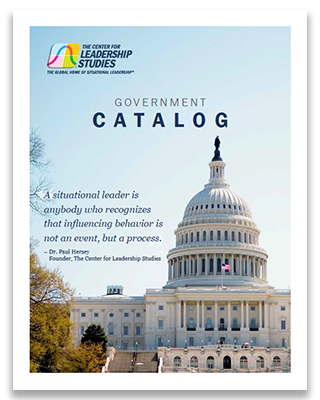 The Center for Leadership Studies offers a full range of learning solutions through the GSA Schedule. Through The Center for Leadership Studies’ learning solutions, agencies are equipped to effectively influence, engage and succeed. View our Government Catalog for an overview of our history, product offerings, sustainment and how we partner within the government. 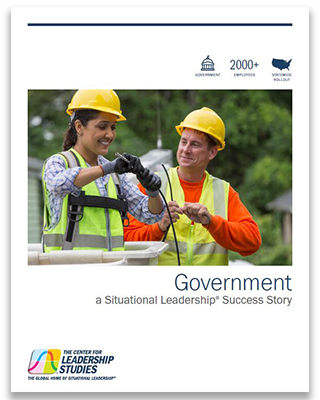 Read this government success story to learn more about The Center for Leadership Studies’ partnership with a government agency and utility provider that is dedicated to safely supplying low-cost, sustainable energy while providing unparalleled customer service. Contact our team to learn more about how Situational Leadership® can drive behavior change within your agency!